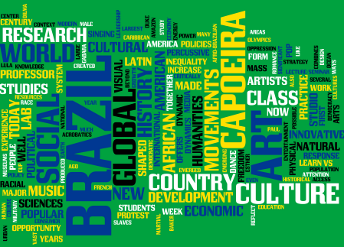 Since April 2015 I have been contributing to the research leading to the exhibition project ‘Contested Freedom: Pop Art in the Americas, 1965-1975’, conducted by the Global Brazil Lab of the Franklin Humanities Institute at Duke University (NC), USA. During that month I visited the university to take part in a graduate seminar on Argentine Pop, focusing on the Instituto Di Tella activities and on Leon Ferrari’s work. I also gave a talk about my curatorial work as part of the panel discussion ‘The Contemporary Black Atlantic: Interchanges between Brazil and Africa’ alongside Brazilian artist Rosana Paulino and scholar Emi Koide.